Combining more than 50 years of experience in motor inverter and high-frequency battery charger design, ZAPI is introducing its platform of IGBT-based controllers for high voltage applications. The first product in the HV family is now available with development of additional versions on-going. Finally, a Tier 1 supplier with a long-standing reputation for quality in design and manufacturing of power electronics for industrial applications has entered the high voltage realm. While standard products will be available, ZAPI understands that the array of design specifications and development hurdles is vast in this emerging market. So, we are employing an open-minded concept. 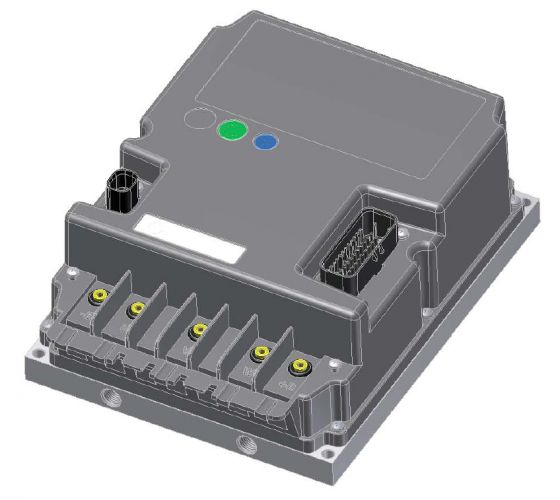 With each OEM having their own preferences, customizing with ZAPI allows for a "no-compromises" approach when designing the inverter portion of your drivetrain. High-speed and heavy-duty vehicle design is a serious matter that requires real expertise and world-class manufacturing capability. OEMs are not seeking drivetrain component suppliers. They are in need of partners that can be an extension of their internal design efforts. ZAPI has been, and will continue to be, an integral partner to OEMs around the world. Call us today to discuss how ZAPI can help you.